Toronto. 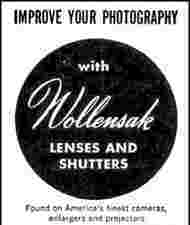 The Wollensak company in Rochester NY made many fine optical components many years ago including lenses for the screw mount Leicas during the war when authentic Leitz lenses were unavailable. Communication companies like Bell Canada used their products (photographing traffic registers to aid in engineering switch extensions). They were known for reel to reel tape recorders and movie cameras as well in their heigh days. 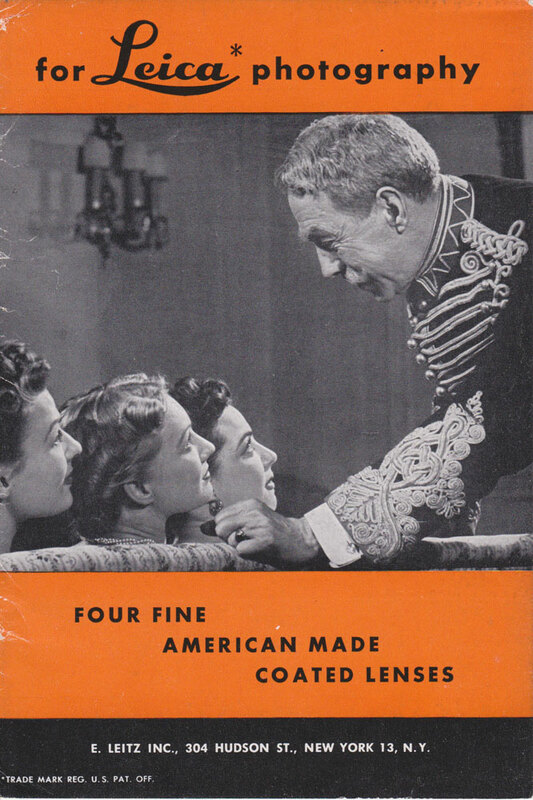 My thanks to George Dunbar for sourcing this 1948 advert for Wollensak. This entry was posted in Uncategorized and tagged Leica, Leitz, lenses, shutters, Wollensak. Bookmark the permalink.